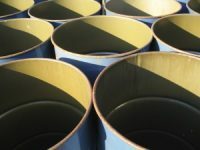 Under RCRA, What Do ‘More Stringent’ and ‘Broader in Scope’ Mean? Should Your Hazardous Waste Be Managed As Universal Waste? The Container Is Empty, but Is It RCRA Empty? Although it sounds like a trick question, it’s not. A container that seems empty of all its hazardous waste contents may not be empty enough to avoid being managed as a hazardous waste. Experts at Enviro.BLR.com® were recently asked, “If the hazardous waste is unused and unopened and has GHS labeling on the container from the manufacturer, can you just write hazardous waste on there with the accumulation date and be compliant?” Read on to learn their answer. Countdown to the e-Manifest System Launch!